With all of the crazy weather, it is important to think about running your business without thinking about emergency precautionary measures. What will happen if you have a power surge? 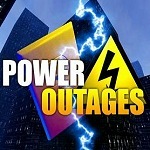 Do you have the proper backup equipment to keep your company moving if something interrupts the power? Power outages can be devastating to your computer. Not only can you lose files and any vital information, but your computer itself could bear the brunt of some pretty devastating damages. If this happens to your computer, the first move is to seek immediate computer repair. They will be the best at trying to salvage anything that may become lost. But there is something you can do that can keep your computer stable through a power surge – a UPS, or uninterruptible power supply. A UPS is a battery-containing device that supplies backup power to your computer in case of a power outage, as well as brown outs and electricity spikes. The battery will keep your computer running temporarily during a power surge, giving you the time to save your work and shut down your computer properly without losing data. Not only will this save important documents, but money from costly computer repair. The UPS will come with power management software that can be configured to sense an outage and safely shut your computer down in the event you are not in front of your computer at the time. You can also set your computer to come back on when power is restored. It is important to think about emergency plans when you start a business. Not only for your assets, but for your office equipment. Call Up & Running Computer Solutions in Corona, CA for help with your backup equipment at 951-737-8558. Learn more at our website at www.urcs.net. Please call our office at (951) 737.8558 and request a pin number. Once you receive your 6-digit pin number, please enter it below to connect with one of our technicians. Please click here to fill out our quick contact form. Our team will be with you as soon as possible.